If someone falls and hurts themselves or gets sick on a 1.14-mile hiking trail in Cold Spring Harbor State Park on Long Island, New York, local police officers, firefighters, and emergency medical technicians (EMTs) come to the rescue. But for many years, it was difficult to find someone who was injured or sick on the hilly, wooded trail in the midst of the 40-acre park in the Town of Huntington, a community of 200,000 people that includes the hamlet of Cold Spring Harbor. People who called 911 to report these kinds of medical emergencies often were unable to pinpoint their exact location in the woods. The yellow dots show the location of each trail marker. But thanks to a new system of numbered trail markers erected in the park and a companion map that shows the coordinates of each marker, locating someone who is injured or ill is much easier than in the past. Emergency callers from the trail can now report the number of the trail marker closest to them. 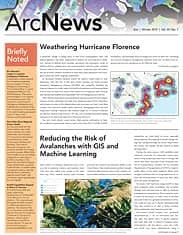 And first responders can consult a digital trail map on an Explorer for ArcGIS app to obtain the marker’s geographic coordinates and additional information that will aid in the rescue. The information the map provides to first responders shaved about 10 to 15 minutes off the response time to a medical emergency that occurred on the trail, said Garside, who spearheaded the effort to install the trail markers. On October 15, 2017, a 47-year-old man suffered a heart attack on the trail, according to Garside. The man collapsed at marker 108, one of 15 small signs placed less than one-tenth of a mile apart from each other along the rugged trail, which is surrounded by oak, red maple, American beech, and other trees. The heart attack victim’s wife called Suffolk County’s Enhanced 911 system on her cell phone and reported the trail marker number, posted on a tree that her husband sat slumped under. Garside and first responders from the Cold Spring Harbor Fire Department sprang into action. Besides being the officer who patrols the area, Garside is trained as an advanced emergency medical technician (AEMT). 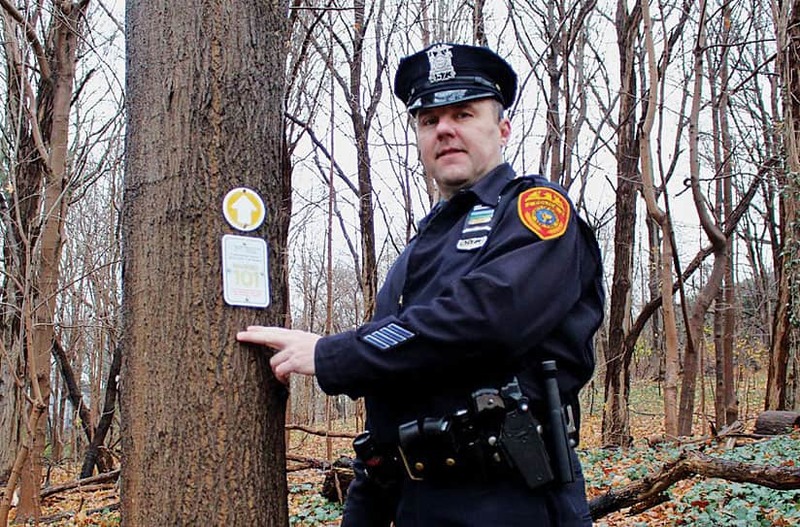 He consulted the trail marker map, which is available to him on both the Town of Huntington’s ArcGIS for Explorer app and on a data terminal in his patrol car. 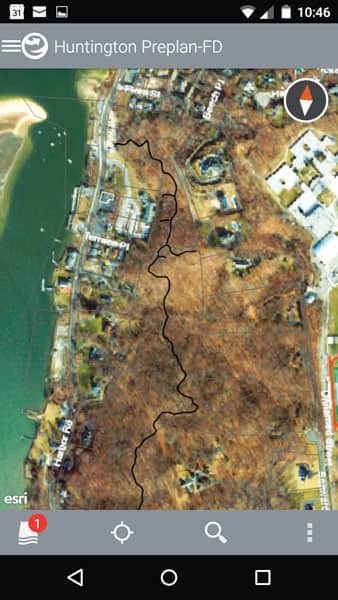 The Explorer for ArcGIS app displays the trail running through Cold Spring Harbor State Park. On the map, Garside could see the details important to coordinate a quick response plan: the latitude and longitude for trail marker 108, the best access point to get to that site, and suggestions as to the types of vehicles and apparatuses to use to bring the patient out. 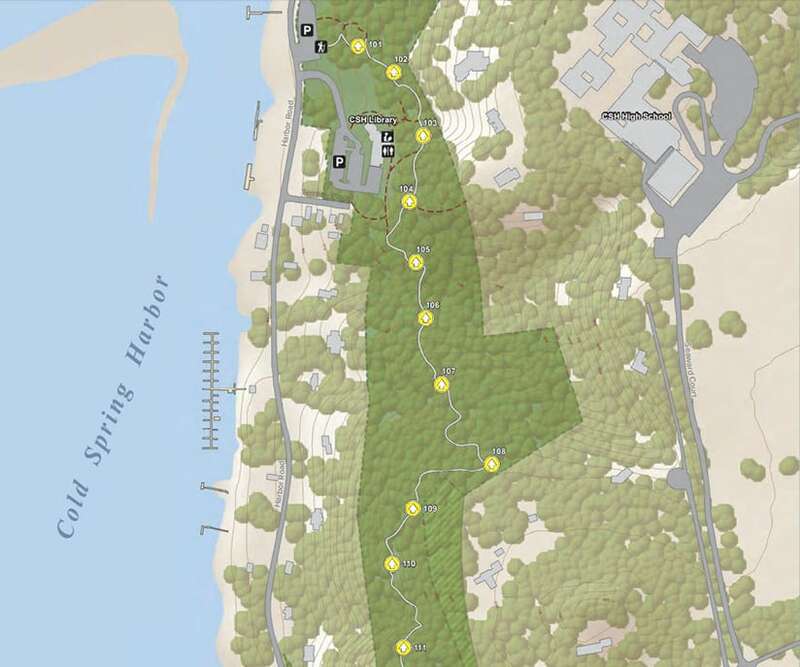 In 2015, Garside had approached the New York State Office of Parks Recreation and Historic Preservation (NYS OPRHP) with the idea of installing the trail markers in Cold Spring Harbor State Park. NYS OPRHP assigned a GIS team to map the trail and gather each sign’s coordinates. The Cold Spring Harbor Fire Department then sent a team in to walk the trail and create its own response determinates. These included descriptions of the best places to access the trail to get to each marker location (e.g., the south or north end of the trail or a specific residence “near the barn”), the types of equipment suited to the terrain at that site, and the best extrication point. That information was then added to the trail marker map. In the case of the heart attack victim, the best access point to reach him was through private property on the 200 block of Harbor Road/New York State Highway 25A. When Garside arrived at the house carrying his medical equipment—a Physio-Control LifePak 12 portable cardiac monitor—the property owner was helpful. “He was pointing me in the right direction [toward the trail],” Garside said. Garside reached the heart attack victim’s side in five minutes. The typical response time without the accurate trail marker information might have been about 15 minutes. The Cold Spring Harbor Fire Department used a Mule litter wheel to bring out the heart attack victim—the recommended equipment listed on the Town of Huntington’s Explorer for ArcGIS app. But prior to that, Garside obtained an EKG reading from the man and sent the readout to a nearby hospital emergency room. 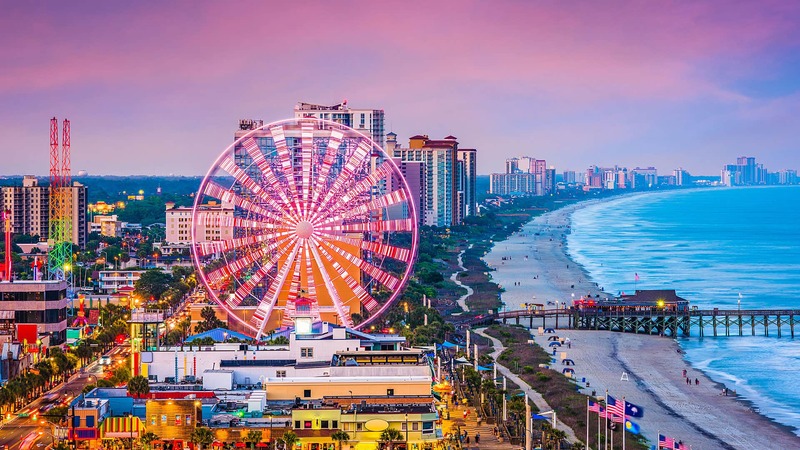 The staff there studied it and called in a cardiac care team, so the physicians and nurses could be in place and ready when the patient arrived at the hospital. The trail signs, the information available via Explorer for ArcGIS, the rescue equipment, and the mobile medical technology—along with the first responders, of course—all helped provide a happy ending to the story. NYS OPRHP’s map of the trail that displays markers 101 through 115, along with each sign’s coordinates, was posted at a kiosk in Cold Spring Harbor State Park. Visitors can add the trail marker coordinates to their smartphones by scanning a QR Code on the map. The spatial data from that project, together with the information from the Cold Spring Harbor Fire Department, was shared with the Town of Huntington. The town’s GIS manager, Dave Genaway, said he was alerted to the data by Huntington chief fire marshal Terry McNally. Genaway said the trail marker data was added as a feature layer to the Huntington Fire Preplan app hosted in its ArcGIS Online organization. The Huntington Fire Preplan contains information about local buildings—including roof materials, known hazards, and floor plans—that help firefighters plan their response to fires or other emergencies. That planning and trail marker information also is available to local firefighters and first responders via Explorer for ArcGIS. When users click on one of the trail markers on the map using Explorer for ArcGIS (or ArcGIS Online), the latitude and longitude for that marker appears. “It also shows which access point they can use to get to that trail marker in [the most] efficient way,” Genaway said. Garside hopes that the trail marker system could be duplicated in other parts of the state in the future. But for now, the police officer is pleased that Cold Spring Harbor State Park will be a little safer for hikers and runners. He said that he came up with the idea for the trail marker system after a man who was walking on the trail with his wife one day in 2015 had a close call. The trail marker data was added as a feature layer to the Huntington Fire Preplan app, which helps firefighters plan emergency responses. The man fainted on the trail due to a heart condition. His wife called 911 but had no idea exactly where on the trail they were located. “When you are on the trail, to the right or left you see woods,” Garside said, adding that the steep hills and trees make it hard to stay well oriented. Garside said it took about 10 or 15 minutes to find the ill man on the trail, which is basically a footpath and not accessible by ambulance. Other hikers on the trail tried their best to help but were unable to give first responders a good estimate of how far down the trail the man and his wife were located, according to Garside. And what about his inspiration for how the trail markers would work? Garside modeled them after the signs on the interstate highways in New York that include exit numbers.